In May 2018 the Fit for the Future (FFTF) network delivered the successful introductory adaptation seminar and site visit at Tredegar House in Newport, where members were introduced to the impact of climate change and how their organisations can start to develop adaptation strategies. 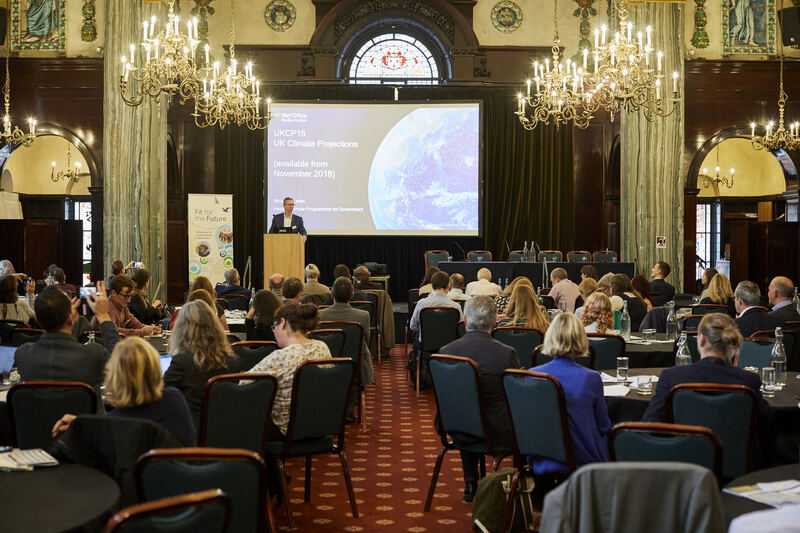 This was followed up by a number of climate change/adaptation presentations and workshops at the FFTF annual conference “Network Harvest” Oct 2018, including an introductory presentation by Simon McLellan (Head of Data - Met Office) on the soon to be released UKCP18: UK Climate Projections. Climate change adaptation was identified as a theme of significant interest and concern for FFTF members and introduced as one of the four broad themes of the FFTF work plan in 2018. As a new area of work for many members, the knowledge base is generally lower than for mitigation and other climate change activities, with a greater need for learning and gaining experience. To allow FFTF members to build on this introductory activity, the FFTF network will in 2019 be providing a number of events to help members increase their understanding of climate change impact/risks and to support them in developing adaptation strategies and actions. Subsequently on the 1st May 2019 FFTF will deliver an event in partnership with the Met Office (at their headquarters at Exeter) to identify climate change impacts on organisations and to identify the need for (and help inform) adaptation strategy development. The event will focus on the UKCP18 climate change projections, the most up-to date assessment of how the climate of the UK may change over the 21st century, as the first step towards understanding climate change impacts on their own organisations and activities. The Met Office will provide an overview of what the UKCP18: UK Climate Projections tell us and provide guidance on how to access and use this data. Olly Watts (RSPB Senior Climate Change Policy Officer) will also provide a workshop on how to start assessing climate change impacts and responses (how to start developing an adaptation strategy). Full agenda details will be confirmed shortly.